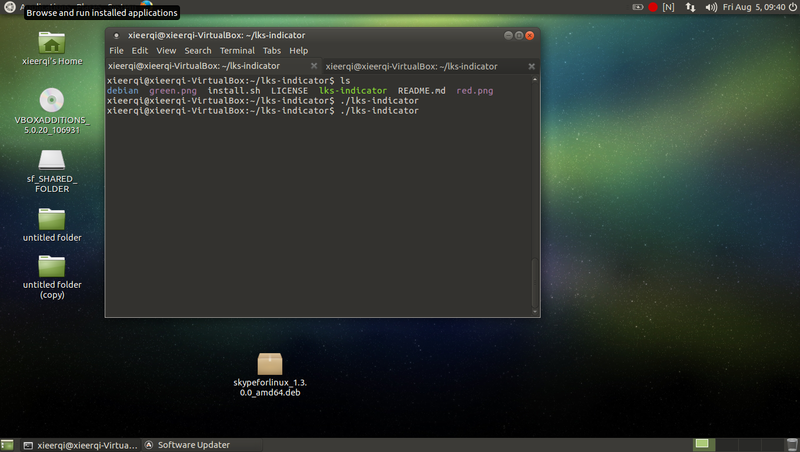 I'm using Ubuntu MATE 16.04. I've seen this question but it relates to Unity DE. The lks-indicator shows status of the lock keys , like Caps Lock, Scroll Lock, and Num Lock. While originally written for Unity desktop, it works with some others, in particular with MATE. It has options for ignoring certain keys, or showing all and indicating which one is active. lks-indicator - Indicates on/off status of Lock keys. --show-all            Show all keys, and mark switched-on keys by surrounding with brackets. Ignore specified keys (C, N or S). To close the indicator, please use the Quit button. Using Ctrl + C doesn't work well with indicators. Alternatively , you can just download the repository as zip file. 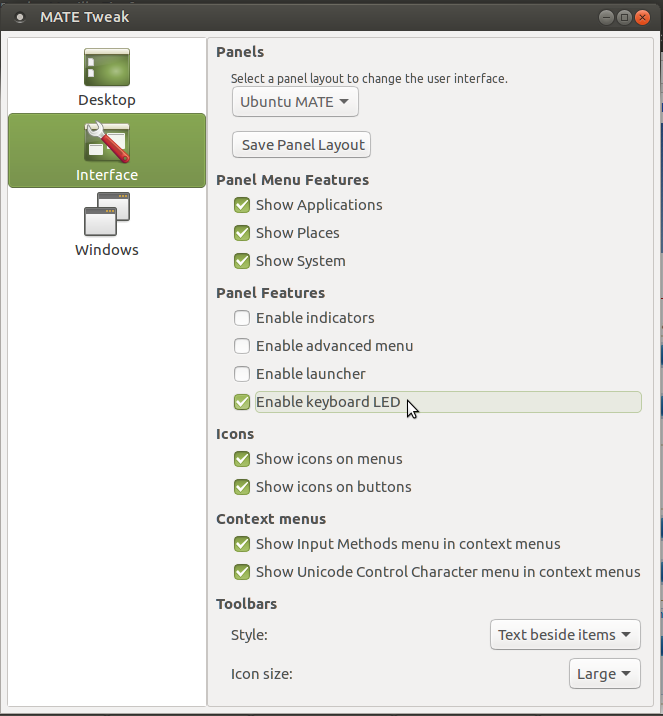 If you prefer the terminal or dconf-editor, which also goes for regular Linux Mint, you can use this setting: org.mate.peripherals-keyboard-xkb.general duplicate-leds, e.g. Tested on Linux Mint MATE 18.1. Not the answer you're looking for? Browse other questions tagged keyboard indicator panel mate or ask your own question. How can I get rid of unused MATE panel icons/indicators? How to develop a System Indicator for Unity? Why are the keyboard indicator lights out of sync in Ubuntu 16.04? Caps lock indicator for Ubuntu 18.04 lock screen and login screen?